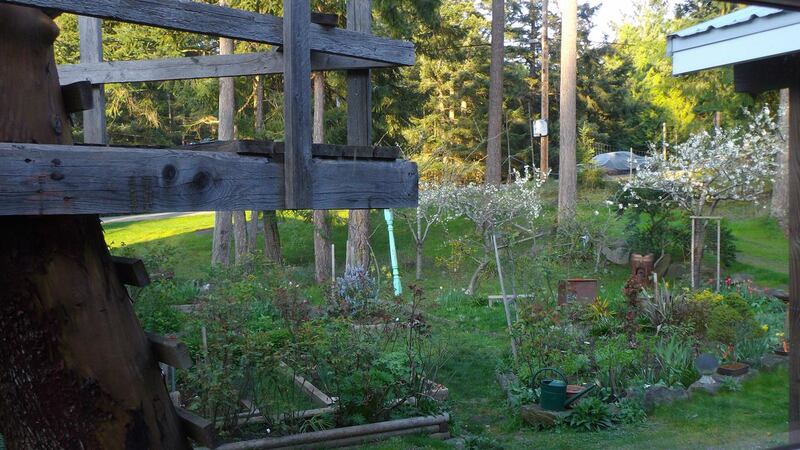 Note the kids’ treehouse in the foreground and beyond my blushing garden! Spring is upon us, the red tulips are winking in the sun and my fruit trees are in full bloom. An Easter egg hunt might be just around the corner. Joyeux Paques a tous!